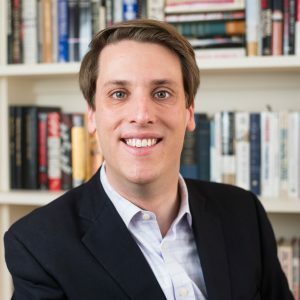 Garrett M. Graff, the board chair of the National Conference on Citizenship, is a distinguished magazine journalist and historian and has spent more than a dozen years covering politics, technology, and national security. Today, he serves as the director of the Aspen Institute’s cybersecurity and technology program, and is a contributor to WIRED, Longreads, and CNN. He’s written for publications from Esquire to the New York Times, and served as the editor of two of Washington’s most prestigious magazines, Washingtonian and POLITICO Magazine, which he helped lead to its first National Magazine Award, the industry’s highest honor. Graff is the author of multiple books, including The First Campaign: Globalization, the Web, and the Race for the White House, which examined the role of technology in the 2008 presidential race, and The Threat Matrix: The FBI At War, which traces the history of the FBI’s counterterrorism efforts. His most recent book, Raven Rock, about the government’s Cold War Doomsday plans, was published in May 2017. He also is the chair of the board of the National Conference on Citizenship, a congressionally-charted civic engagement group founded by Harry Truman and Dwight Eisenhower.